Spain is certainly one of the best holiday destinations in the Mediterranean. Apart from the sandy beaches that make a major attraction for most tourists, this ancient country offers travellers more to explore. Tourists can enjoy several things such as sightseeing and lively festivals. 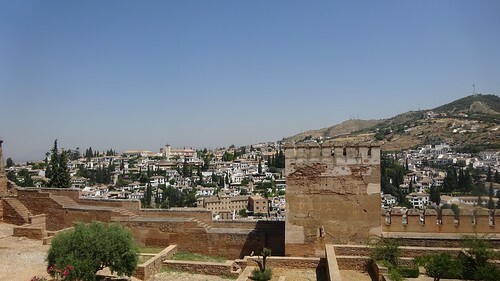 Hiring a car is the perfect way to experience the real Spain there are many sites where you can compare car hire deals from all major car rentals companies in Spain and take in Moorish beauty of the Alhambra in Granada, the grand architecture, and famous festivities in Seville, Andalusia. Spain is perfect for a driving holiday you can experience cosmopolitan cities, majestic scenery, mountains, beaches or the arid landscapes. The weather compliments every holiday arrangement. The climate varies so; expect long, hot sunny days while in the north and cooler and breezier days while in the south. Rent a car in Spain and explore various tourist attractions that feature spectacular views, beautiful Spanish architecture, and eclectic nightlife. Regardless of where you visit in Spain, the vibe is that of blasé atmosphere and warm hospitality. Then there is the food, which is currently considered one of the greatest cuisines in the world. 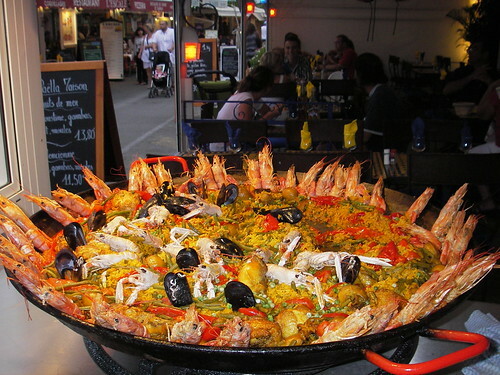 The local specialty you should be familiar with is the Paella, a rice dish that is Spain’s most popular. There are many tasty platefuls of fish, meat and vegetables with spices and tomatoes. When in Spain know that Spaniards do not eat during normal meal times. Lunch is taken from 2 p.m. onward while dinner is from 10 p.m. If you cannot reset your body timing or if you are hungry between meal times, there are open pintxo and tapas bars during midday and around 7 p.m. Some bars offer a free snack with wine, sherry or a glass of beer. If you are considering Barcelona your tour spot, then hire a car to enjoy the sights in outlying places. Barcelona has everything that tourists look for in a European town. From vibrant culture to remarkable architecture, lively shopping, and bustling nightlife, Barcelona sums it up for a great adventure. The city feels surreal because of the famous architectures like Spanish Catalan architect Antoni Gaudí, who designed some of the city’s structures. 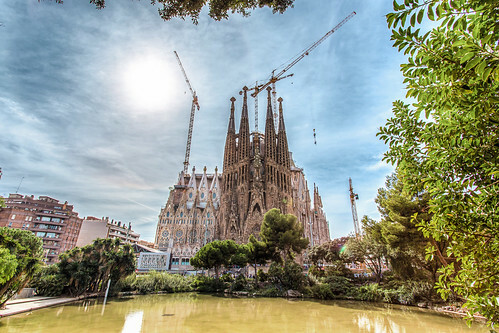 With a car hire, touring Barcelona is incomplete without going to Gaudí’s Church of the Sacred Family. Stepping into the church feels like falling via the looking glass, an excursion that you can continue with touring Park Güell. Urbane and dedicated to living a great life, Spain is at once a stereotype come to life and a nation more diverse beyond imagination. To enjoy the expedition of sightseeing ensure you hire a car from one of the reputable rental companies in Spain. Compare car hire deals from all major car rental companies in Spain to get the best services. Based on the car rental company you choose, you can select from a multitude of drop off and pick up at convenient places throughout Spain. Add any extras during the booking process such as additional drivers and child seats to eliminate the stress of touring your next spot in the country.